4 Certifications in 4 Weeks! 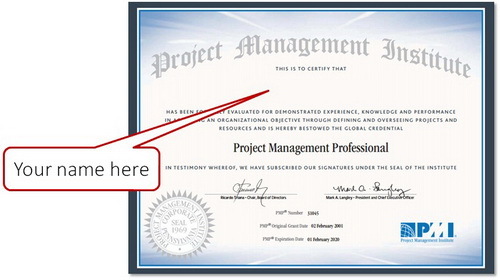 Certify as a PMP, PMI-ACP, Six Sigma Green Belt, ITIL, CBAP, or other certifications in just 4 WEEKS!!! Complete our application or show proof of a WIOA/GI BILL approval letter. Visit our website for the latest course schedule. The text material and instructions. Your schedule for the ONSITE training. We guarantee that you will complete all of the classes within 4 weeks. We guarantee that you will pass the exam of your choice or, WE WILL PAY FOR THE RETAKE! Attend our ONSITE training. During the onsite sessions, we will assess your readiness to sit for your chosen exams and recommend appropriate timing. Follow the instructor’s guidance, i.e. prepare for class, read material, watch online lessons, engage in Q&A sessions, etc. If you do not pass the exam, we will request that you retake the course. Communicate! Tell us how we can do better. YOUR SUCCESS IS OUR SUCCESS! Institute of Management and eConsulting Group® have been providing training and consulting services since the year 2000.